Naya Rivera’s Son Josey Is Growing Up Fast! Former Glee star Naya Rivera posted a new photo of her baby boy Josey Hollis Dorsey on Instagram, and we can’t get over how fast he is growing up! It seems like just yesterday Naya Rivera confirmed she and her husband Ryan Dorsey were expecting baby number one. In 2015 Rivera gave birth to baby Josey, and on September 17 the tiny tot celebrated his first birthday. 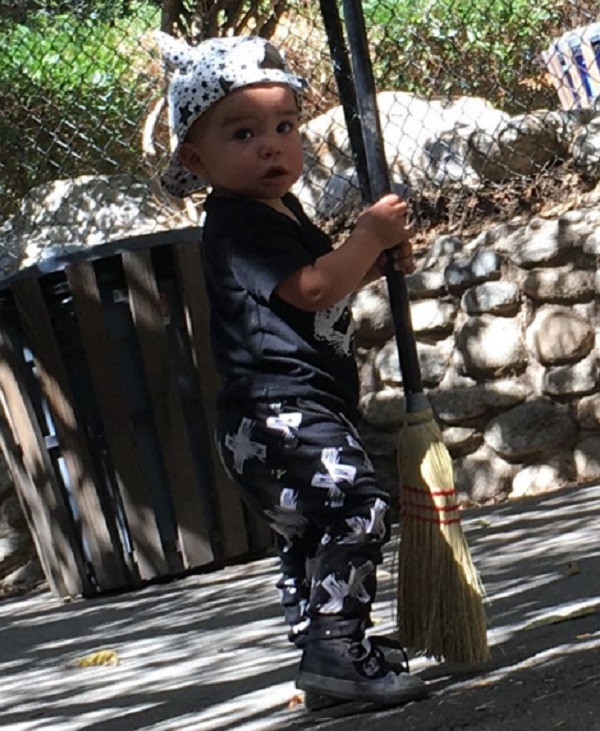 In Naya Rivera’s latest photo of Josey Hollis on Instagram, the adorable little boy appears to be sweeping the sidewalk with a broom. What a helpful little man! Naya affectionately captioned the sweet snapshot, “Coolest child to ever live.” Naya doesn’t share a ton of photos of Josey, so naturally her followers jumped in the comments sections and raved about how big he was getting since the last time Naya shared a photo of him. Naya added that she hopes some day her son will read her new book, and it will help him through whatever challenges life throws at him. Guess what?! The audio book version of #sorrynotsorry is out Oct. 11th! It’s available for pre-order now and most importantly it’s read by yours truly!